During one of our family vacation scheduled “free days,” my brother Tim and I decided to make a trip to famous St. Mark’s Comics in East Village. To be honest, it was a miracle that we finally found the establishment as we relied heavily on the New York Transit Systems’ free internet connection in order to access my mobile phone’s GPS and online maps. Once I entered St. Mark’s, I was informed by one of their attendants that I would need to leave my satchel behind a bookshelf/divider across the counter. I was hesitant at first as I had everything in there, but I eventually relented and pocketed the number tag they gave me. Clockwise: Comic haul’s include: Batman #508; Batman: Shadow of the Bat #29; Exiles 74 (New Universe World Tour); The Nam #3-#4, #6-#7, #9, & #12; The Mighty Thor #390; Spider-Man 2099 #25; Web of Spider-Man #40-#41, #43; The West Coast Avengers #3, #6, #11, #17, and #42; and Avengers West Coast #62 and #72. | Assorted Marvel Cards | Heroclix (Left to Right) Hydra Agent H, Hydra Annhil-Agent, and Beastboy (Dolphin). Not pictured are the Upper Deck Marvel Slingers Ant-Man and Giant-Man. This year’s Christmas Toys & Collectibles Fair 2015 at the SM Megatrade Hall 2 ended up being a simple pick up run[i] unlike in year’s past. The lines on the last day were sparse–the likely result of rolling in a little past 10 am–and I wasn’t complaining. If you’ve had any experience in these types of events, you know the odds of being a sardine (you!) canned into a tin can are pretty high. The Megatrade Hall eventually filled up, but by that time, I had made my rounds and was pretty much done. Highlights included a used Batman: Arkham Origins PlayStation 3 Collector’s Edition Joker statue (2013), a MIB Troop Car from Hasbro’s Indiana Jones’ Raiders of the Lost Ark line (2008), AND a vintage The Real Ghostbusters Fire House Headquarters play set (1987)! All very nice and overpriced. I didn’t go home empty handed as I managed to pick up 4 West Coast Avengers comic books at P30 each, three Heroclix game pieces (e.g., Hydra Agent H, Hydra Annhil-Agent, and Beastboy [Dolphin]), several old Marvel Comics trading cards (e.g., Famous Battles: Evolutionary War, US Agent, Blood Ties: US Agent, and the Cosmic Cube schematics card from the Iron Man 2 trading card line. ), and a couple of 2011 Upper Deck Marvel Slingers (e.g., Ant-Man & Giant-Man). 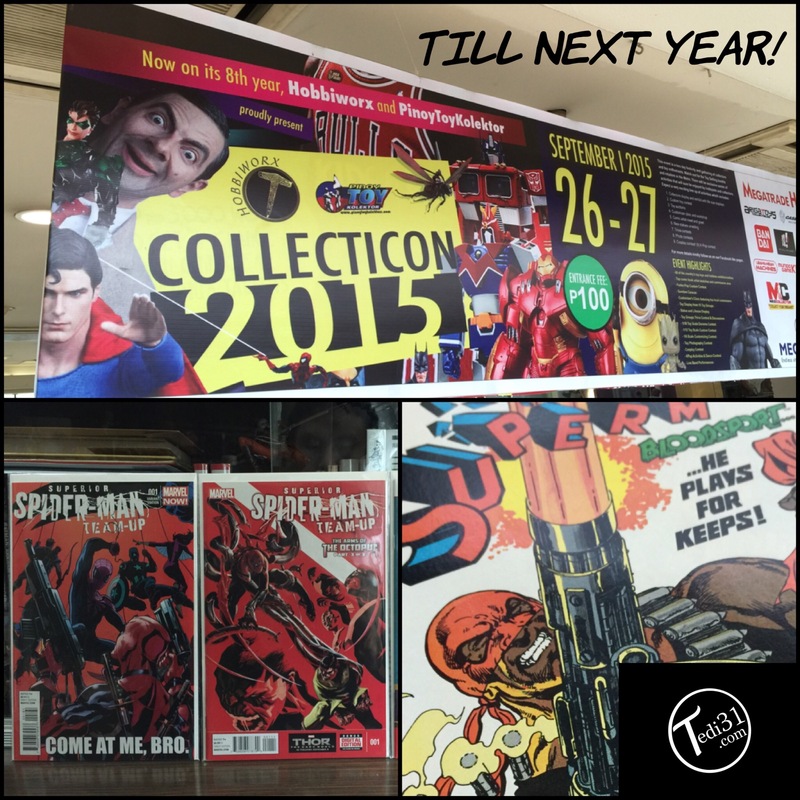 [i] Pick up and run – Bought 17 issues of old Marvel and DC Comics from a local online site prior to the convention. Great way to get comics at a really good price! Practical too! 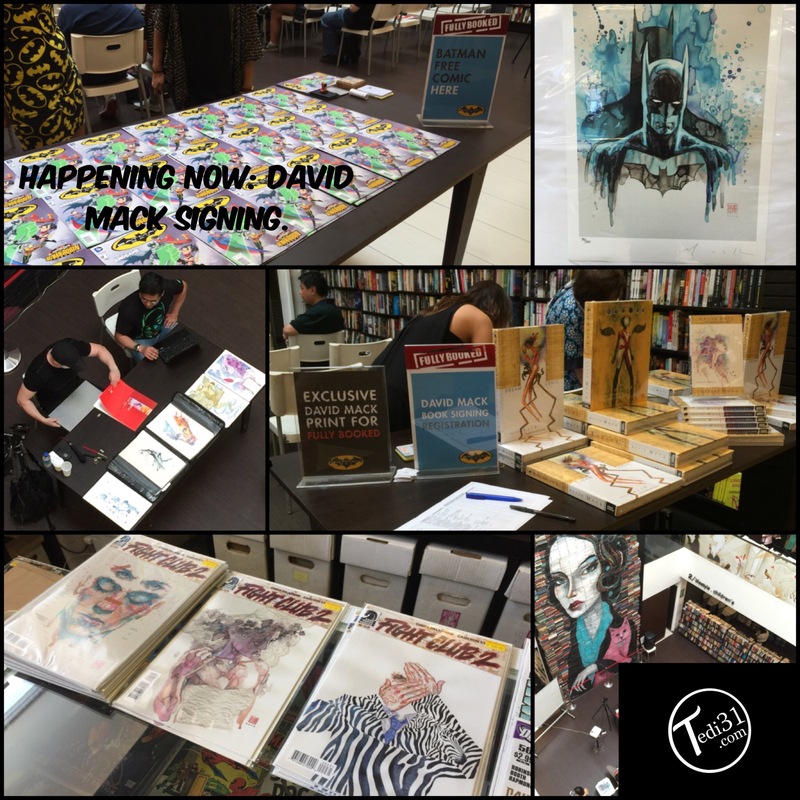 Clockwise: Batman Endgame #1 [Special Edition] giveaway for Batman Day 2015 | Fullybooked Limited Edition print by artist David Mack [54/200] | Several of David Mack’s works: Kabuki, Reflections, and Dream Logic | View from above. | Several of the Fight Club 2 books that were being sold at Comic Odyssey FullyBooked. | David Mack is on-hand and about to start. On September 26, 2015, FullyBooked in Bonifacio High Street will be celebrating Batman’s 76th anniversary (and what I have come to understand is to be the official “Batman Day”), with acclaimed artist David Mack (Daredevil, Fight Club 2). 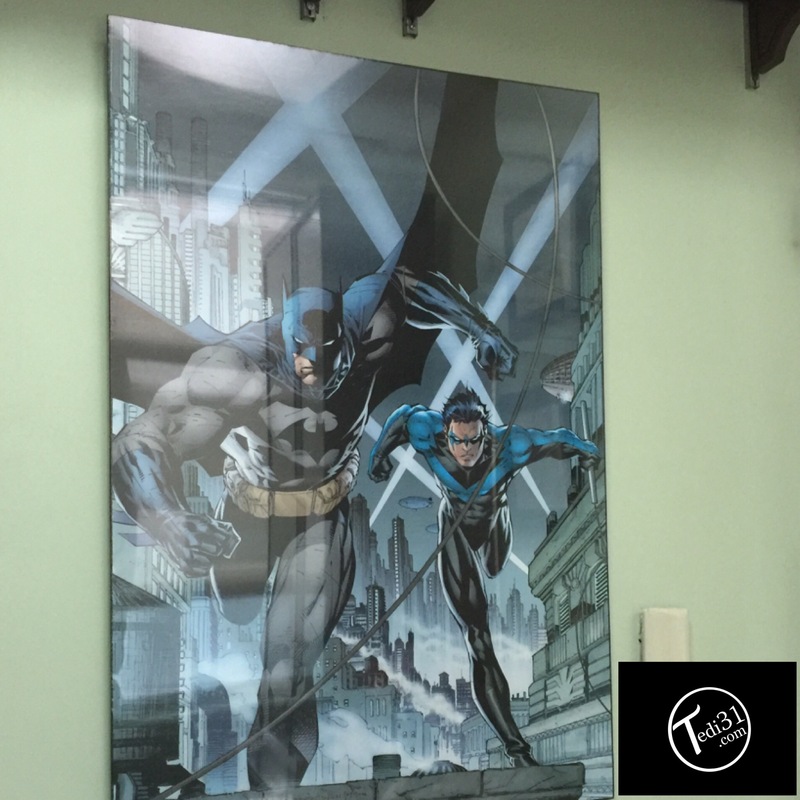 Mack, who extended his stay in Manila after the AsiaPOP Comicon last week, is set to do some live art as well as sign his book and several of his limited edition Batman prints. The event is slated to start at 2pm today. 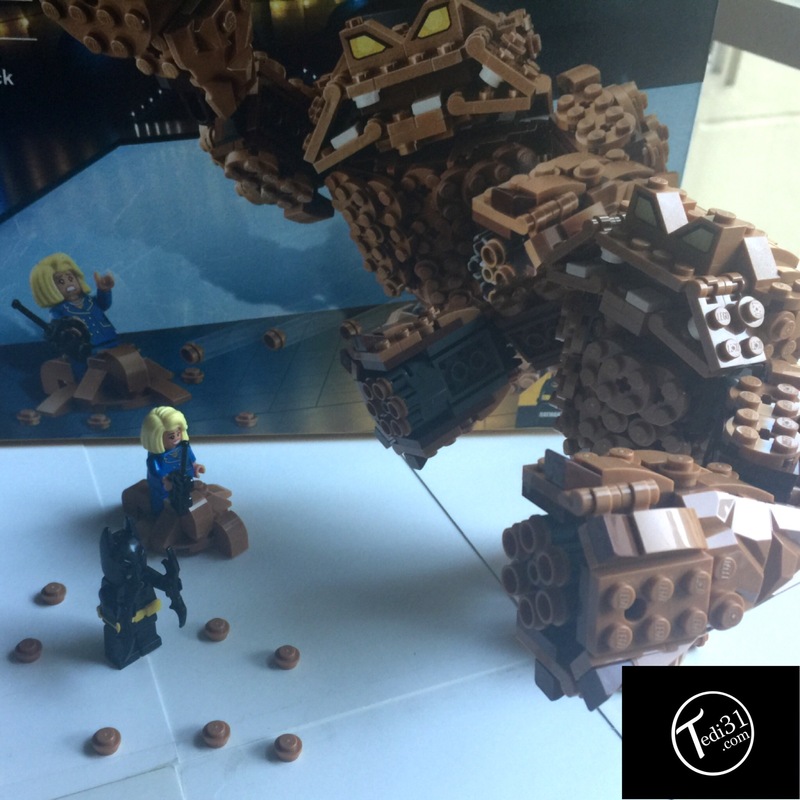 In conjunction with the Batman Day event, FullyBooked is offering 20% in most of their selection. I also noticed several Batman tilted going for 50%. Happy Batman Day to all!